Fast, reliable, responsive and automated platform. Get A Demo No credit card needed. Instant setup. Instead of scheduling mails manually, send them just when it is required, on the right time or when user do some actions. Convince your customers with efficient designs. Drag and Drop Editor makes it easier for you to ignore the coding and focus "only" on creativity. Set filters on your contact list and extract targeted information. 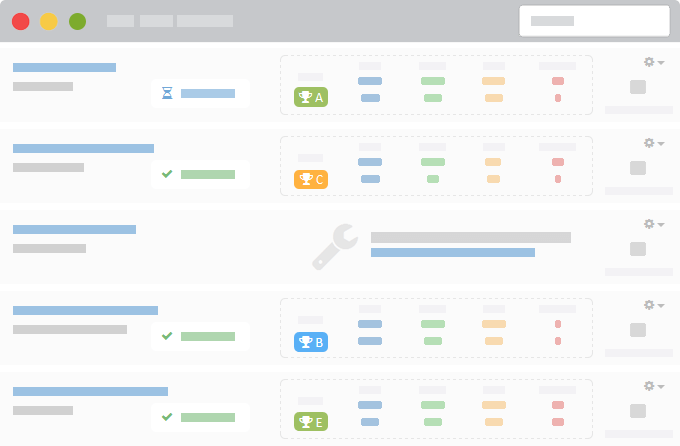 Schedule campaigns, automations, A/B tests on these segmented lists instead of blindly scheduling them on whole list. Manage your user data in multiple contact lists "at" the same time. Add custom fields to store personalised information. It is also known as Split Testing. Send multiple versions in a campaign and determine which one is the best so that you can send the remaining campaign with the winner. Every business has its own relative information. Add custom fields at one place and store personalized data. No need to create them separately for each contact list. Apply similar segmentation on more than one contact lists at the same time. This will save your time in building similar segmentation over multiple lists one by one. Link your contact lists with custom web forms and integrate these beautiful forms in your website. Its a unique feature where we assign a score to each contact list, campaign and template so that you can understand how effective they are. We "analyse" your headers, body and sending path to ensure that "by any chance" mistake may not lead your mailer to Spam. You can run your test before scheduling final campaign and make changes according to the report. Instead of designing whole campaign again and again, create a template and use it. 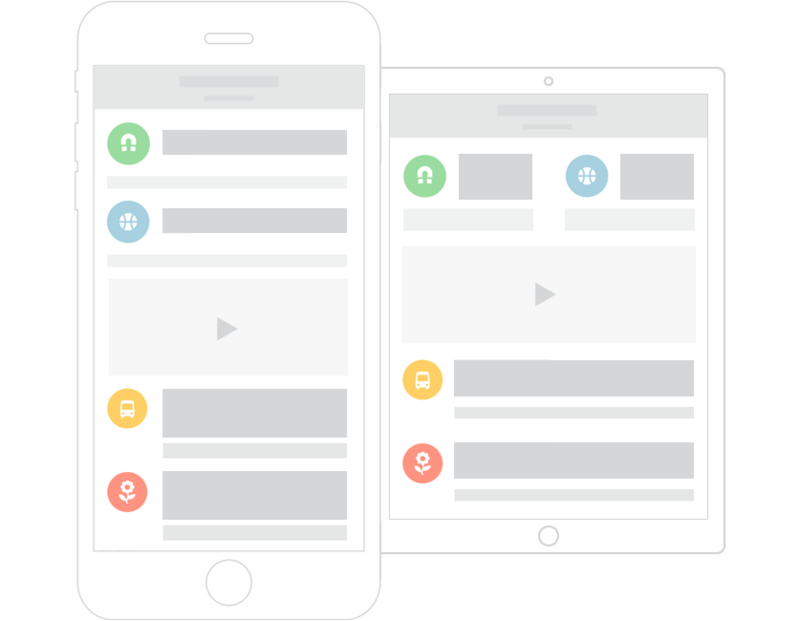 A saved template can be used in campaigns, automations and A/B tests. 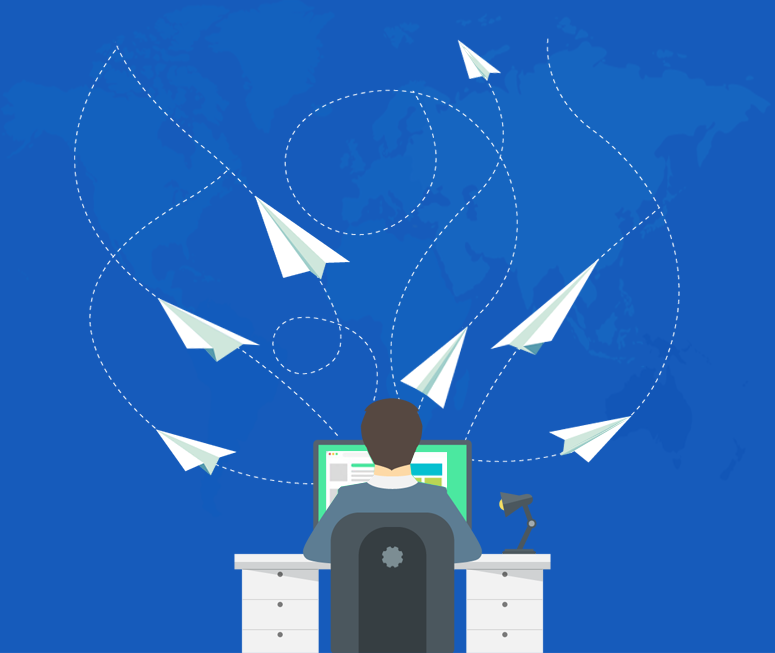 Why Email Marketing for your Business ? Email Marketing can take your business to another level as Email is the currency of web nowadays. Anyone who is online has an active email address. According to statistics, Email Campaign generates $40 ROI for every $1 spent. So why not use Email Marketing for your business to broaden the reach. 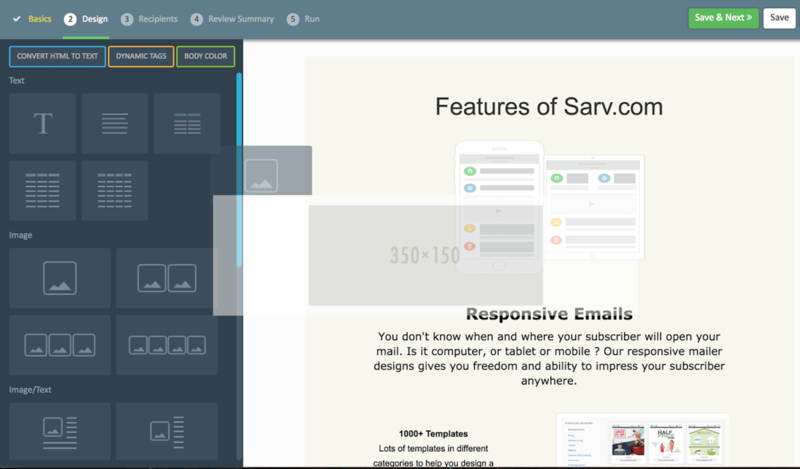 Sarv Offers Business Email Marketing Service to send the right mail to the right person. Experience how easy it is to create and send a beautiful & personalized mailer with marketing tools like Automation, user-friendly drag and drop editor, advanced segmentation, A/B testing, advanced metrics, reporting, and more for today’s fast-growing business. Send mails to an individual person based on his behaviour. No need to create bulky lists multiple times. Set a parameter and send mail when it is actually required. Want to send mail just when someone snaps you? or want to send a Thank-You mail when your customer purchases a product on your site? Automation is what you need. 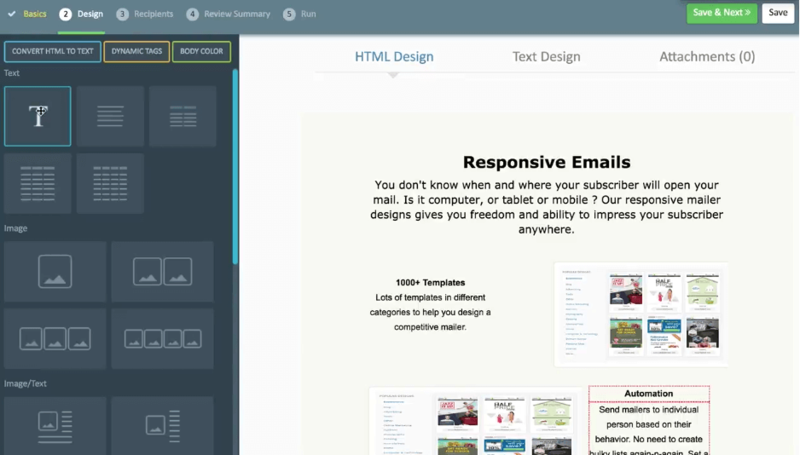 Drag and Drop editor makes it easier to design creative mailer. No need to have skillful hands in HTML and other heavy softwares just to design a template. Just drag the element, drop it on desired position and edit its CSS. Amazing feature with amazing options, just feel your imagination and drag it. Confused ! what is the best content to send to your customers ? 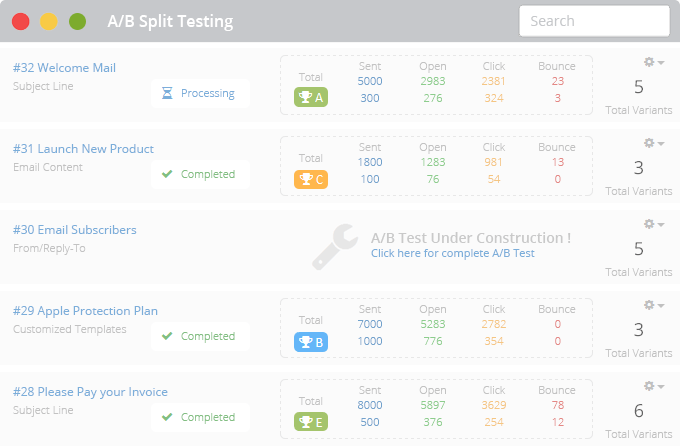 Learn what attracts your customers through A/B or Split Testing. Run a test with multiple mailers and let's decide the winner and shoot the final campaign. You don't know when and where your subscriber will open your mail. Is it computer, tablet or mobile? 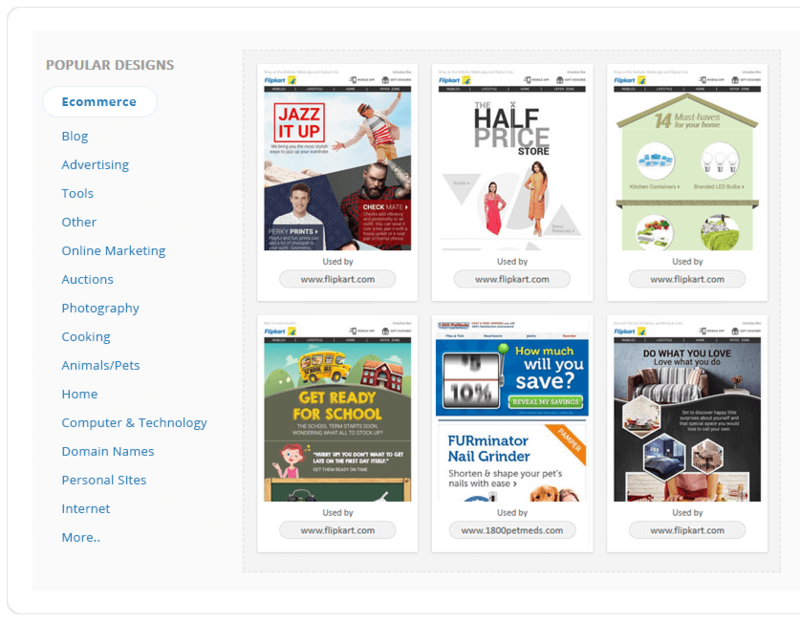 Our responsive mailer design gives you freedom and ability to impress your subscriber anywhere. Your mailer will look just perfect and beautiful. A quick preview will help you to give last moment perfection. You do a lot of hard work to send an email with its design, graphic, content, etc. Then why spoil your hard work just because of some silly mistakes. 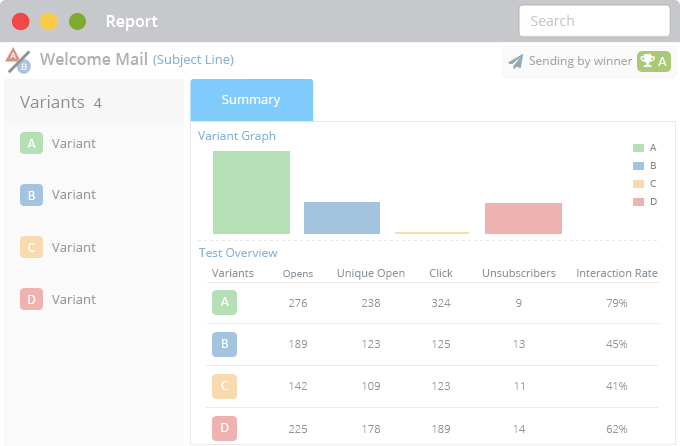 Our spam filter intelligently analyzes your mail and identify potential causes that put your mails in Spam. 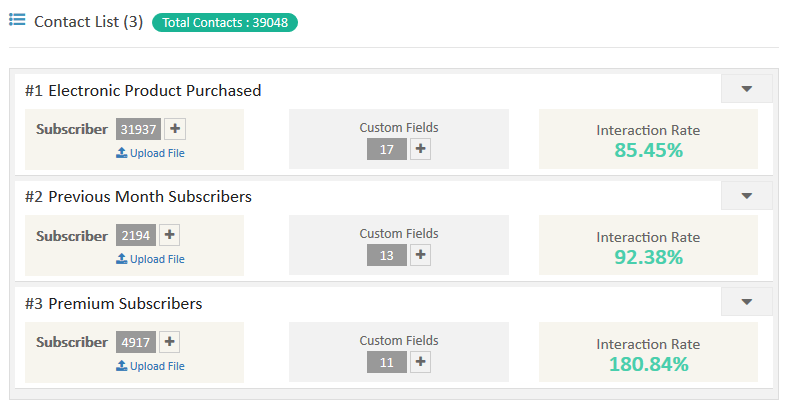 Store your subscribers in contact lists and manage them easily. 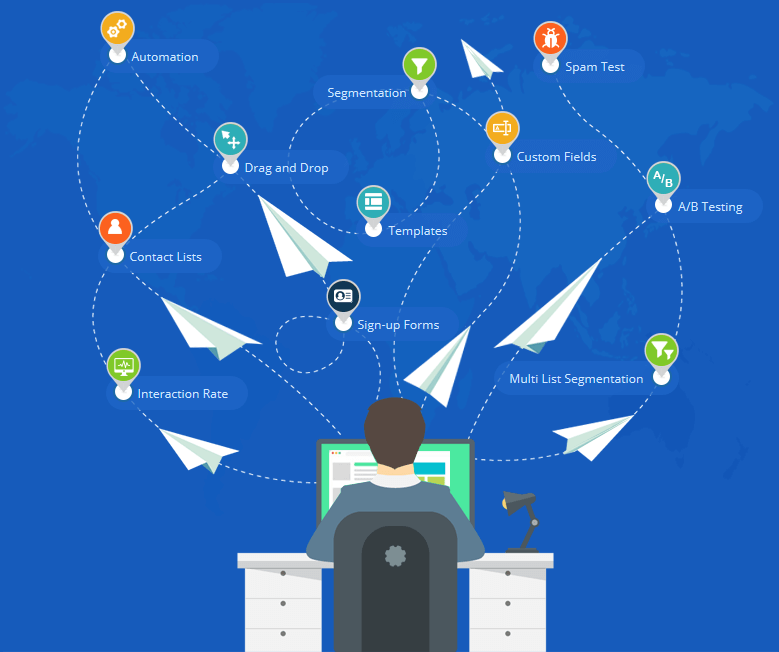 You can perform segmentation to filter contacts, use lists in campaigns, automations, A/B testings, etc. We believe to give power to our customers. Images are essential part of mailers. Its a very tiresome job to find or design just right image for our mailer. 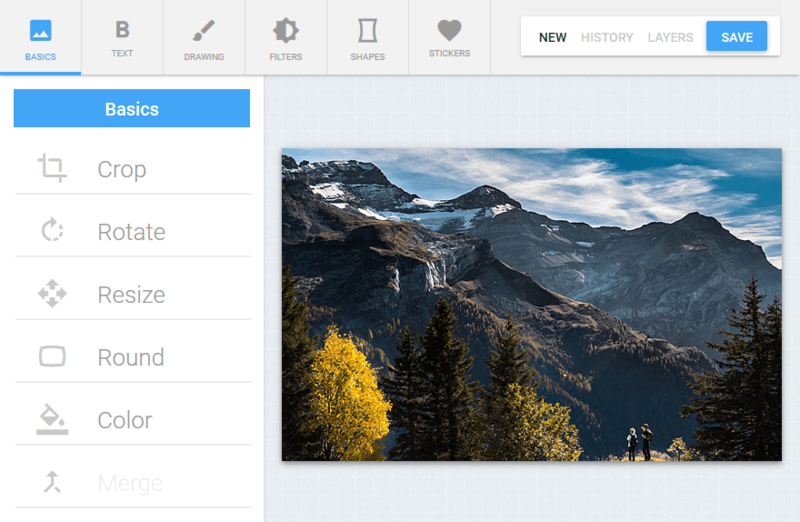 Our feature rich still easy to use Image Editor is a friend for you. Add stunning visual effects to your photos in various mode like sharpen, noise, blur, invert etc. Communicate efficiently by maintaining a balance between size of picture and amount of text. Draw to explain more clearly and make your image more specific. Each customer is unique and needs special treatment. Instead of saying "Hello" say, "Hello Sam". Give a personal touch to the subject and content of the mailer just according to the subscriber. To reduce un-subscription rate, let's ask our user to un-subscriber temporarily by choosing period of time. Create your sign-up forms and increase your subscribers. Customize every corner of your form to give it a personal touch. Give an in-site of the efficiency of Contact List, Template, Campaigns. Every business has its own relative information. 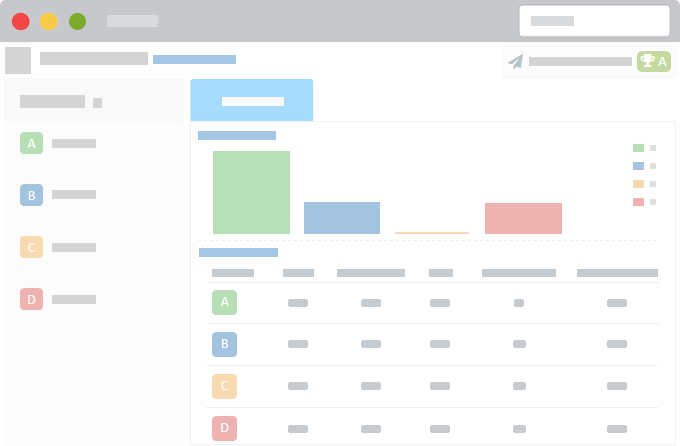 Custom Field feature gives you liberty to store important data so that you can target them more efficiently. Images are the heart of mailers. Store as much as you want.